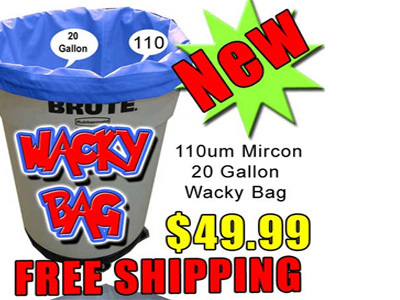 Short Decription The Largest Pressing screen on the market is Exclusive to Wacky Willy's. The 16' x 16' surface is perfect for pressing larger batches or pressing multiple grades at the same time. Pressing your Bubble will reduce drying time and help prevent mold. 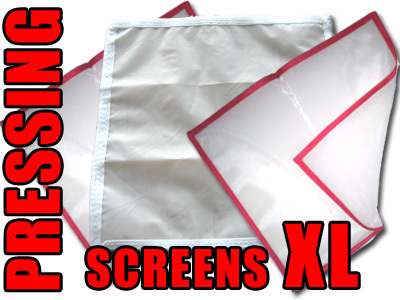 For more detail and Instructions on how to use a Pressing screen click the Image! 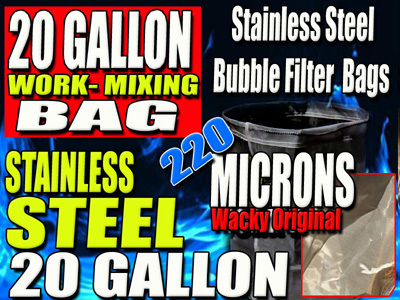 Short Decription 20 Gallon Traditional Canvas Style Bubble Extraction Bag. 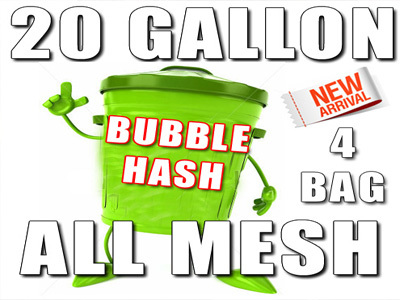 Add to your Set or use alone for Dry Ice Extraction or bubble. Waterproof Sidewalls with 110 micron Screen. 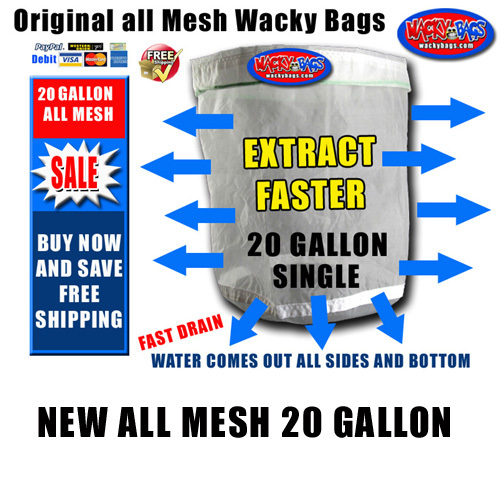 Short Decription The Fastest Draining 20 Gallon Bags! 100% Mono-Filament Screen bags with triple stitched parachute seams. 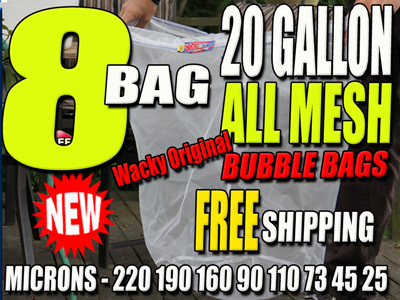 Available in 220/190/160/110/90/73/45/25 Micron Bags. 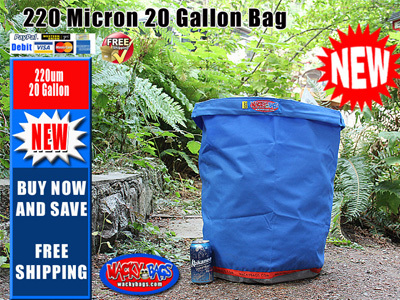 Fits in a Standard Garbage can, Perfect for larger jobs. This is the mixing bag you will put your massive amount of tea into, and then add ice and water Stir around for 30 minutes and then let it set for 10 minutes before filtering threw the remaining Collection bags. Add to your Set or use alone for Dry Ice Extraction. Waterproof Sidewalls with 220 micron Screen. 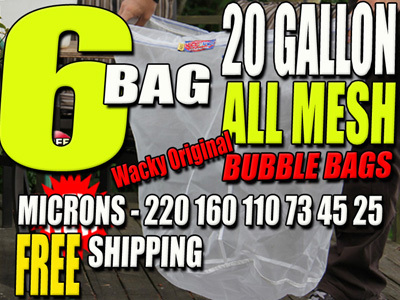 4 Bag set Included - 220/160/73/25 Micron Bags.